In 2012 Arturo Fuente celebrated 100 years in the tobacco business making them the cigar company using the oldest family owned farm in the Dominican Republic. Yes, over 100 years later, the Fuente family continues pursuing founding father Arturo’s dedication to hard work and family tradition. 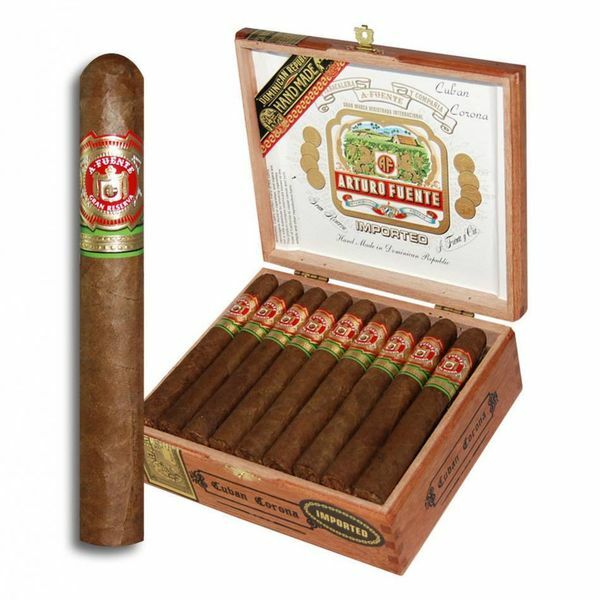 The Arturo Fuente Gran Reserva Cuban Corona is a cigar produced with the highest standards and craftsmanship you’ve come to expect from this titan of a cigar family. This mild to medium cigar is made with Fuente’s private reserve Dominican tobacco leaf rolled in a natural African Cameroon wrapper. The hand rolled Gran Reserva Cuban Corona has a mild nutty aroma with hints of pepper and a touch of sweet spice. This cigar is the perfect companion to a Perfect Manhattan! Old Forrester Signature is a 4 year old medium bodied bourbon with notes of vanilla, cedar and corn that compliments the Gran Reserva excellently. There’s not a lot of heat on the palate coming from this corona sized gem and thus it makes it a great choice for a mixed cocktail. 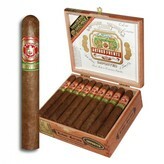 So, pop open the box of cigars you have just purchased online at a great price from elcigarshop.com and relax and revel! Fill a martini glass to the brim with ice so it chills while you make the Manhattan. Add whiskey, sweet vermouth and bitters to a shaker or glass with a few ice cubes, and then stir or gently shake. Do not overdo it; you do not want the ice to water down the drink. Discard ice from martini glass then strain Manhattan into the chilled glass and garnish with cherry and orange peel.